Kreeft considers all the fundamental elements of Christianity and Catholicism, explaining, defending and showing their relevance to our life and the world's yearnings. Here is a book to help you understanding your faith more fully and to explain it to others more winningly. Like every religion, this faith has three aspects, corresponding to the three parts of the soul and filling the innate needs of all three parts. Kreeft uses these three divisions as the basic outline for his Christian apologetics. First, every religion has some beliefs, whether expressed in creeds or not, something for the intellect to know. Second, every religion has some duty or deed, some practice or program, some moral or ethical code, something for the will to choose. Finally, every religion has some liturgy, some worship, some "church", something for the body and the concrete imagination and the aesthetic sense to work at. Creed, Code and Cult; Words, Works and Worship, are a most useful way of outlining any religious faith, including the Catholic Faith of Christians. "These essays were written for Catholics by a Catholic. But I believe that nearlyl everything I say here will be found by the orthodox Biblical Protestant reader to be his faith as well: That solid and substantial core that C.S. Lewis called 'mere Christianity'." 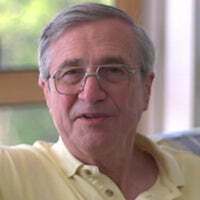 - Peter Kreeft Peter Kreeft is a professor of philosophy at Boston College. He is the author of may articles and some 15 books.